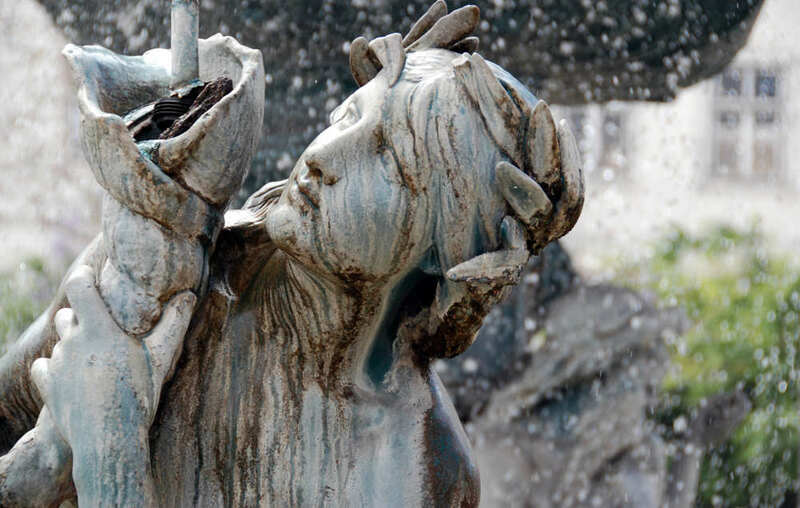 The bronze sculptures were created by sculptors Mathurin Moreau and Michel Lienard, and were installed with the fountains in 1889. 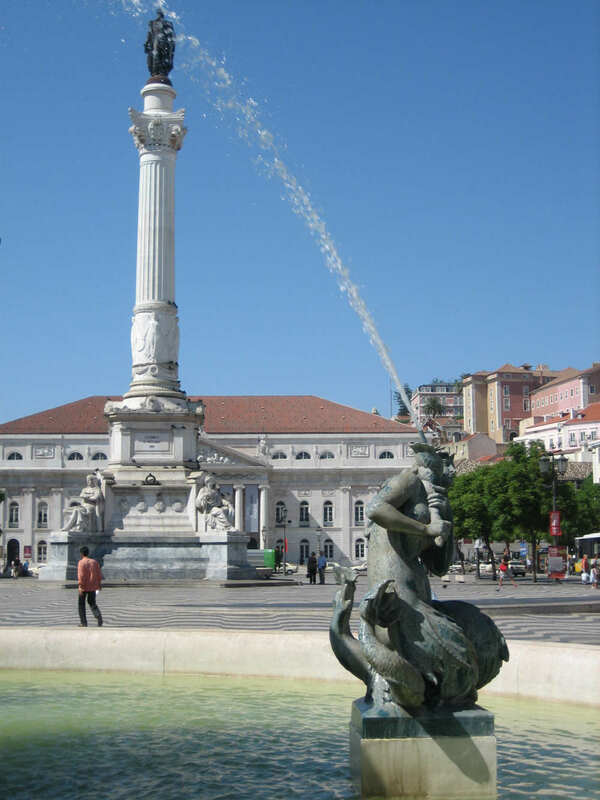 They were created in Val d’Osne, France and then imported to Portugal. 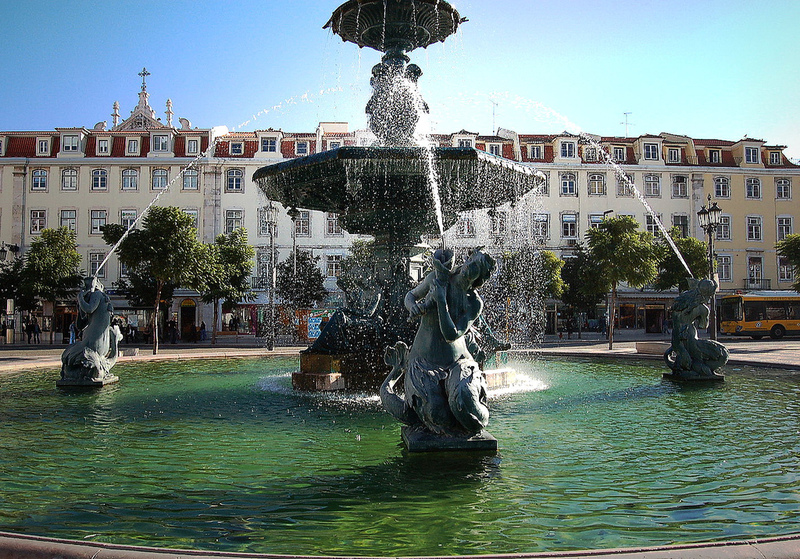 Rossio Square fountain with 4 mermaid statues. Photo © by Lucia Whittaker. 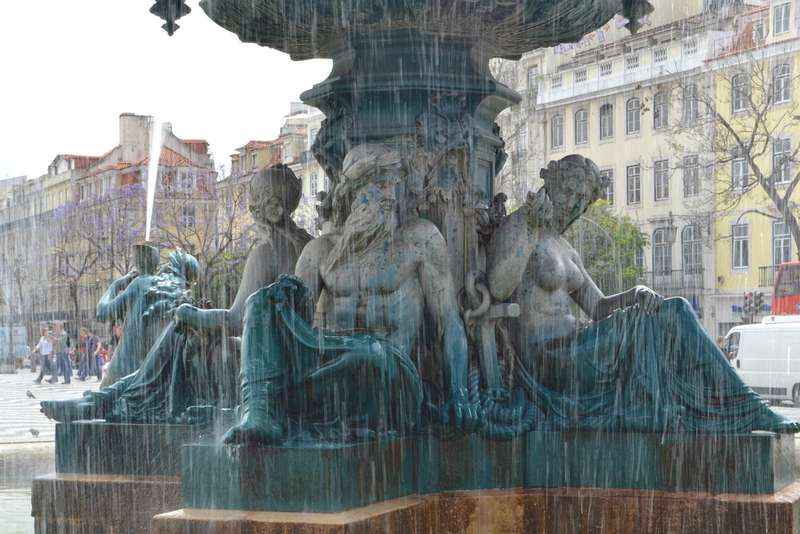 Mermaid Statues in the Rossio Square fountains, Lisbon. Photo © by Ashley David Jones. 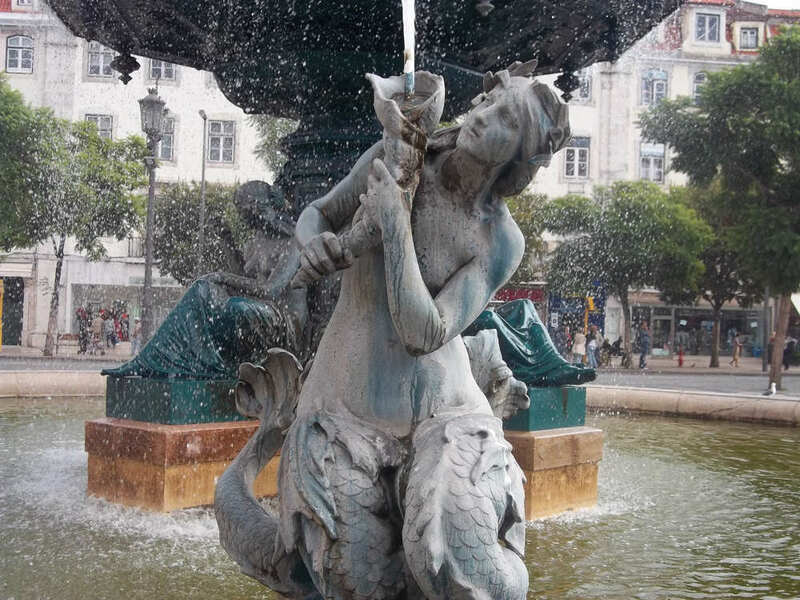 Mermaid Statue in the Rossio Square, Lisbon. Photo © by Kimberley Blue. 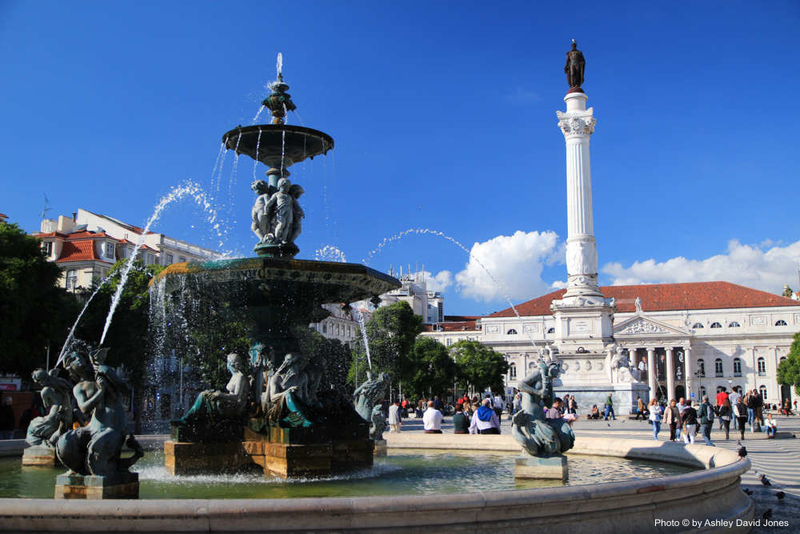 Mermaid Statues in the Rossio Square fountains, Lisbon. Photo © by Aleksandra Bugarinovic. 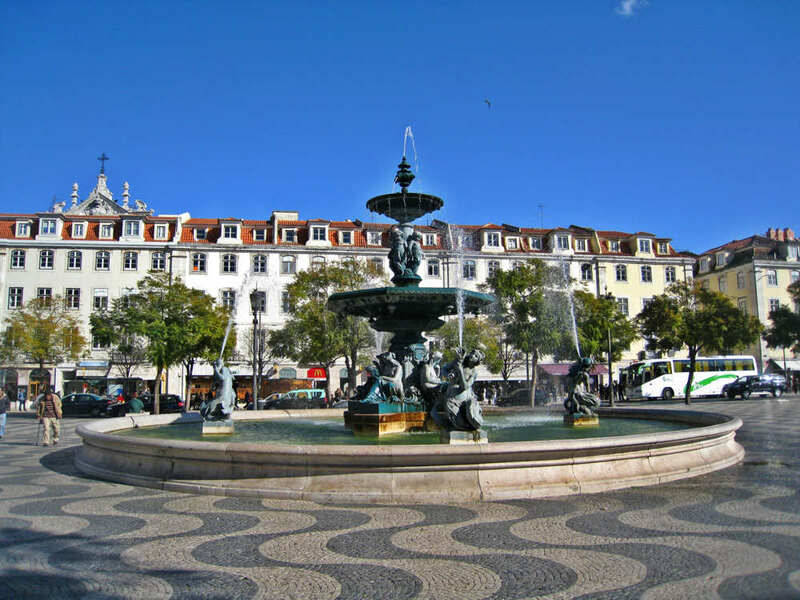 More data is needed on these mermaid statues and fountains, especially who the 4 seated figures in the center represent. If you have relevant information, please contact us. Additional mermaid statue images: If you would like to help with additional photographs of this mermaid statue, please contact us. Photos must be yours, 10 megapixel or better.